Mike Pence: “I'll leave this summit very hopeful that we are very close to a renegotiated NAFTA." LIMA, Peru — A new NAFTA could be renegotiated in the next few weeks, Prime Minister Justin Trudeau and U.S. Vice President Mike Pence said Saturday in Peru, avoiding new political opposition that could emerge during Congressional and Mexican elections later this year. 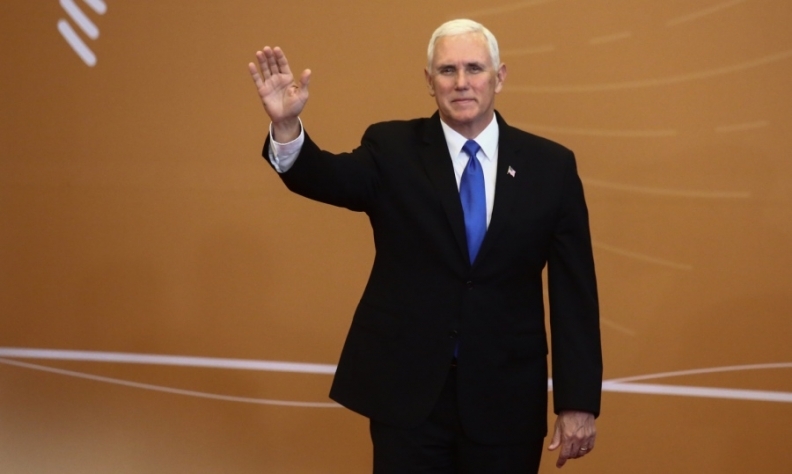 “I’ll leave this summit very hopeful that we are very close to a renegotiated NAFTA,” and “there is a real possibility that we could arrive at an agreement within the next several weeks,” Pence told reporters at the Summit of the Americas in Lima. The notably optimistic assessment followed a similar prediction by U.S. Commerce Secretary Wilbur Ross last week that a new NAFTA could be completed by the third week of May — a surprisingly specific date given past uncertainty about the talks. Trudeau, however, refused to be drawn into any specific timelines even as he noted that both the U.S. and Mexico are facing elections in the coming weeks and months that have created “pressures” for both those countries' negotiators. After the meeting with Pence, Trudeau said the “positive momentum” included the thorny issue of U.S. demands around automobile production. “We would like to see a renegotiated deal land sooner rather than later,” he added. “There is a desire and a recognition by all three NAFTA partners that the timelines imposed upon us by both the upcoming, the imminent Mexican elections and the upcoming American midterms, means that we have a certain amount of pressure to try and move forward successfully in the coming weeks,” Trudeau said. The comments restore some more optimism on Nafta after U.S. President Donald Trump earlier this week canceled a trip to Peru where Nafta could have been discussed further, and said he could let trade talks go on indefinitely because it would deter companies from investing there. Negotiators from all three North American countries have continued their discussions in Washington over the weekend. Bloomberg and The Canadian Press contributed to this report.